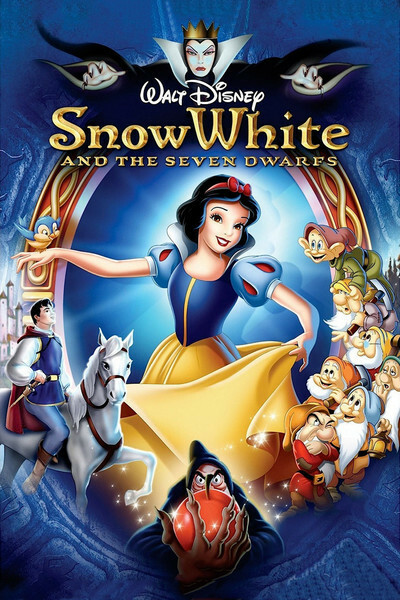 Snow White and the Seven Dwarfs is considered the most emblematic of Walt Disney's work. Not only for it was the first full-length animated feature in movie History, but also because it is the force that build, and saved a couple of times, the Disney empire as we know it. Walt Disney was already an established artist, working full time in Hollywood with his main creations: Mickey Mouse and the Silly Symphonies. His studio hired and kept many jobs, even during hard times. However, Disney wanted more. He dreamed about turning his cartoons into a masterpiece, a feature length to elevate the prestige of his work. And in 1934 he announced, officially, the name of his first big project: Snow White and the Seven Dwarfs. He estimated a budget of US$ 250,000, which was ten times what costed to created a Mickey Mouse episode, but the movie ended up costing over 1 million dollars in its almost 4 years of development. Nobody, but Walt, believed the movie could be successful. The press saw it as joke. Even Walt's wife and brother, Lilian and Roy, tried, with no success, talk him out of the project. Walt didn't want nothing less than a masterpiece and the drawings should be an improvement, not as simple as the Silly Symphonies. There will be songs, but they would help tell the stories, advance it. Also, new techniques were created to give the scenarios the idea of depth. 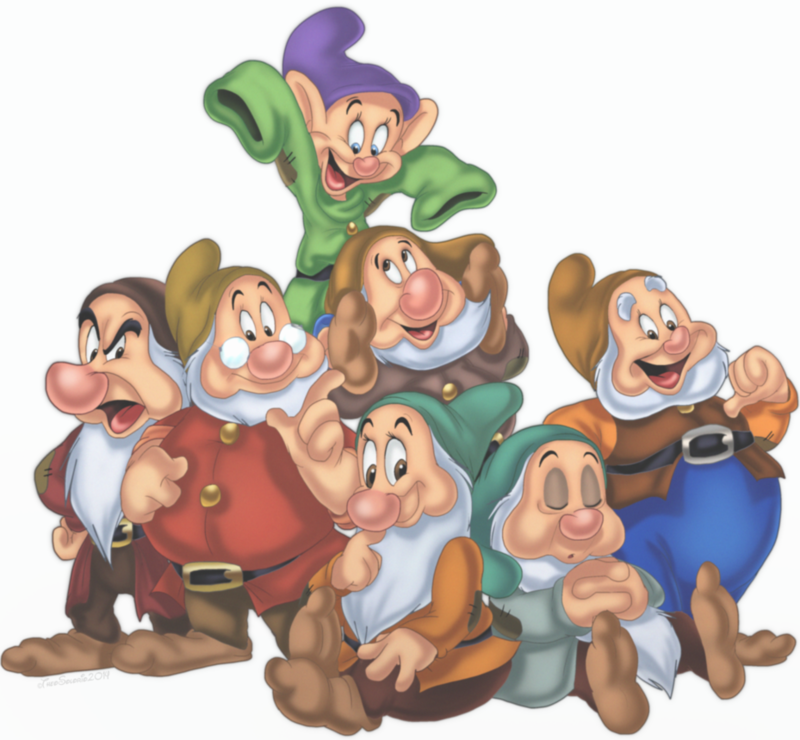 in the beginning, most of the story developers wanted the focus to be on the Dwarfs, created with seven distinct personality and names, but Walt was not sure he wanted it to be only a serie of gags and jokes. In fact, he wanted to create a romantic story and also enhance the relationship between Snow White and the Queen. That became a characteristic of the studio: find the core, the heart of the story, for the movie to work. When the movie doesn't have a heart, it doesn't work because the public notices it. And, boy, Snow White and the Seven Dwarfs has a heart. Since the very beginning, public realized they were not in the movie theater to see a long version of a Silly Symphony. Snow White had a voice, a personality and charisma. She was, though, a damsel in distress, thanks to the excellent work done to bring her stepmother, the Evil Queen, to life. And, if Snow White was the heart, the Dwarfs were the soul of the movie. Seven Dwarfs, seven engaging personalities, seven distinctive names: Doc, Dopey, Sneezy, Sleepy, Grumpy, Bashful and Happy. In a movie where the biggest flaw was the lack of development of the Prince character, the animators did a great job creating this group of supporting cast as the comic relief. Also, they work as the heroes when they are put in action against the Old Hag, the Queen in disguise, to save Snow White. It is impossible to think of the movie without them, an improvement from the original source, the Brothers Grimm fairytale, which is somehow more brutal and dark. The beauty of the animation, the amazing art techniques, can be seen in two of my favorite scenes: Snow White singing by the well and the Queen using witchcraft to change her physical form and create the poison to kill the princess. And, fun fact, most people don't know that the idea of true love's kiss was Walt Disney's creation. In the original tale, there was not such a thing. It was actually kind of bizarre, as you can check here. With this special touch, Disney engaged the audiences to believe true love is the key to happiness. In its original release, for an audience of Hollywood A-list stars, the movie proved itself to be effective, bringing laughters and tears to the lucky ones in the premiere. In the following day, the press, that waited to display Disney's failure in its front pages, had to write enthusiastic articles about the new genre that was born and how financially successful it would become. Snow White proved to be a money source for the Studio during bad times. When other movies failed to achieve success and the studio faced financial problems, Disney's first Princess was re-released to new audiences, new generations, bringing back the public, and, of course, the resources to keep the machine running. Today the Walt Disney Studios is about to release its 56th animated feature classic, Moana. That's why it's important to remember the one that started it all. The one and only, Snow White. 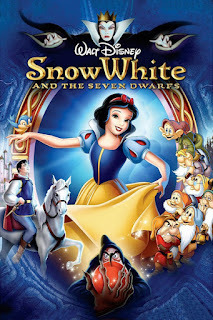 Check Snow White in the ROTTEN TOMATOES and in the BOX OFFICE MOJO.